What is a patient advocate and how can they possibly help you with your TMJ journey. 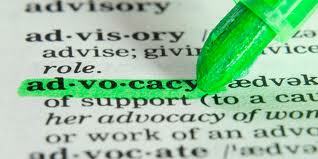 “Patient Advocate” is a very broad title that encompasses many types of services for patients. This article might give you some ideas of what type of patient advocate might best help you. Many hospitals offer the assistance of in-house advocates. Think of them as ombudsmen. They work for the hospital to facilitate communication, but it is important to remember that they do still work for the hospital. Medical Assistant: This type of advocate requires knowledge of the healthcare system, and a medical background. Advocates of this type can provide medical assistance with reviewing diagnoses, treatment options, medical records and test reports, they may also accompany a patient to appointments, monitor the patient at the bedside in a hospital. The advocates and care managers providing this type of care have, in most cases, a medical background; retired doctors or nurses, or someone who spent the first part of his career in a medical capacity. There are some formal programs being developed for assisting patients with medical needs. Insurance Assistant: Health insurance and other cost and billing issues can be very confusing. Insurance Advocates are available to help patients or their loved ones wade through the confusion. They offer services such as helping to choose the best insurance plan, handling paperwork and insurance filings, negotiating denials of claims, and Medicare plan decision making. Legal Assistant: Sometimes the help needed for medical problems is really more legal in nature. From worker’s compensation, to disability filings, to malpractice and medical error review, you may find that your best advocate is a lawyer. There are several other types of advocates but I chose to only get in-depth on the 3 that I thought might help TMJ patients the most. Here is something to know and remember when looking for a patient advocate: Are Patient Advocates Certified or Credentialed? The answer is no, there is no accrediting group/agency that has developed standards for certifying the skills of patient advocates. Most health professionals are licensed and certified by a government or a certification body. For example, doctors must complete medical school, take exams, and be licensed by the state they practice in. Then, to better establish their expertise, they may apply for, and prove their worth, to become “board certified” within their specialty areas. Hospitals, too, are reviewed and certified, or accredited, by the Joint Commission. Nurses, nurse practitioners and other health professions have similar licensing and credentialing requirements and opportunities. But private, professional patient advocacy is too new. There exists no accreditation organization or licensing body for patients’ advocates. Don’t let this discourage you though, they really can be a useful tool, but just like anything else we need to be informed of the facts. Many hospitals, rehab centers and other facilities hire patient advocates. Many have a customer-service type position. Some of these advocates have a back ground in social work or other forms of customer service. While they do trouble-shoot and solve problems for patients, many of their decisions must be made in favor of the facility and not necessarily in the best interest of the patient. Some work for insurance companies. They may be called “patient advocates” or “case managers” . There is also always the option to hire a patient advocate privately. This can be a really good option for many who are dealing with insurance denials or healthcare providers to add an extra layer of advocacy for your own care/situation. Here are some links that might be helpful when looking for a patient advocate. You can also do a google search for your area or state. I just want to add a personal note in saying that I myself have used a patient advocate to help me in getting proper pain management for my TMJ and it proved instrumental in helping to coordinate my care and expedite the issue.